I was living with my husband in a small one bedroom apartment by the beach in Dee Why on Sydney’s Northern Beaches, Australia when during my lunch break at my work computer I somehow stumbled upon a YouTube Video of Shakti Sunfire performing hoop dance in this video with the Pyronauts at San Fransisco Decompression in 2009. My jaw literally dropped and I found myself on a quest on YouTube in pursuit of more and more hula hoop videos which ignited a fire inside me to give it a go as soon as I got home, so I remember on my way home from work dropping into my local Rebel Sports store who had a selection of small kids hula hoops which I eagerly raced home with to play around with at home in the companion of plenty of hula hooping YouTube clips which just fed my fire even more! After racing through the front door, I realized that every time I tried it it seemed like a complete disaster. I remember wobbling my entire body to try to keep the hula hoop up. I would spin the hula hoop as vigorously as possible and I recall the disappointment when it would always fall straight to the floor. After flicking through a few hula hoop tutorials I realized that I needed an adult sized dance hula hoop, which I made myself out of irrigation piping and with the handy help from my partner. 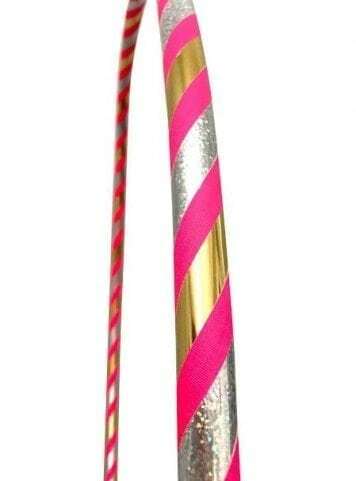 It was like I had won the lottery, I had my first proper adult sized 95cm diameter dance hula hoop which I just adored and took with me wherever I went for practice. I was so happy to learn to hula hoop. 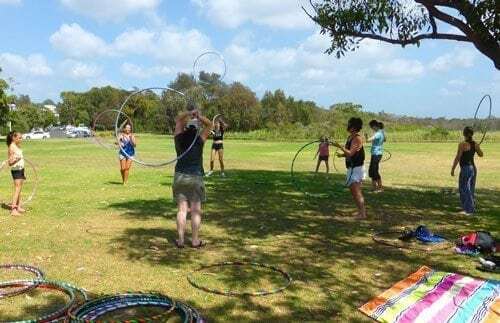 I practiced my hula hooping watching Hula Hoop Tutorials until later on I took lessons with Hoop Empire which soon after that I started a local Hula Hoop Group on Dee Why beach which was down the road from me, where we would meet every 3rd Saturday of each month. I was so excited to meet other hula hoopers and boy I did meet many amazing hoopers at that hoop group! I still keep in touch with a few. It gave me so much joy to introduce hula hooping to others and see them light up with self-pride once they would learn a trick or master a hula hoop trick that they had been struggling with. I soon realized I wanted to share in the ‘hoop love’ by teaching at a local dance studio called DJAZZEX in Brookvale and taught hula hooping classes for some time. After the passing of my mentor and best friend, my incredible father, I soon with the grief that comes, found myself questioning my purpose, life and basically realized that life is too short for us to waist on things that don’t give us joy and right then and there during one of my moments reflecting on what is important to me, I found that I am happiest when teaching people to hula hoop dance. Being a mum now days, I take any chance to whip out my adult dance hula hoop at a mothers group or play groups for some enjoyable hula hooping time with others. 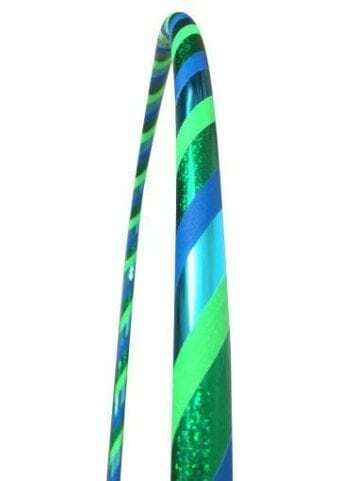 When I started hula hooping, what seemed hard to me back then is now very easy for me. I found that the more I messed up in getting a trick right, as soon as I would go onto another trick then come back to it, it would just come to me, sometimes you just need to have a break from a particular hula hooping trick which you’re having difficultly with as I found the more I would try harder, the more my body would stiff up and just mess it all up. Your body will use its muscle memory to remember the first part of that move in order to give it a fresh approach next time you attempt it. The key is patience. It took me a long time to feel confident hooping in front of other people but looking back I feel that I took a wrong approach in that aspect, because it really doesn’t matter if you ‘think’ you look silly or out of ‘flow’ or not as fluid as other hoopers out there, it is only in your head and in reality you are absolutely shining and doing what you love so don’t put the fear of not looking great into your head, you are you, unique, wonderfully special and capable of anything with practice and patience. When I first picked up a hula hoop I remember racing to keep up with the hoop and moving my body like a mad woman in a continuous circular motion to keep the hula hoop in orbit. After a few hula hoop tutorials I realized that it was just about correctly placing your feet on the ground, keeping a good posture and making a forward and backward motion with my waist and if i simultaneously did this with the initial motion from the first spin of the hula hoop then you could hoop til the cows came home! At first exaggerated movements helps however with more practice the less effort it will take to keep the hula hoop up. 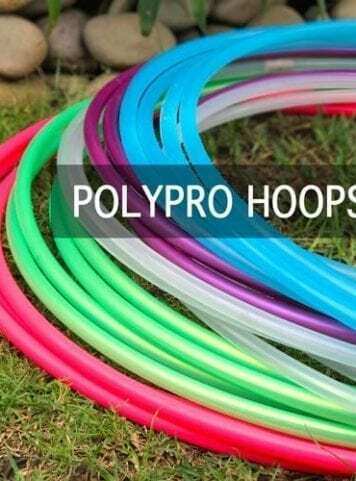 Many people hula hoop for fitness, fun as well as hoop for releasing from tension and engaging your mind in an enjoyable continuous array of circular motion that allows you to re-center and become present with moment. Over the years I have hooped for fun as it brings a big smile to my face when cranking up a happy song and spinning away, however I also have found that when I’m in a spin with the hoop my mind goes to a place where I am completely mindful of the present moment and the enjoyment of the feel of the hoop as it rotates my body is complete bliss. Sure I have had hundreds of frustrating times with my hoop, however when I focus on escaping the day to day busyness, I love to hula hoop dance away for a good 20 mins or so a day. I remember a hoop student once said to me “I can’t relax when I’m hooping because I’m brainstorming of what move I’ll go into next” I identified with this so much because when I first started hooping, I wanted to keep up with all of the moves and conquer every trick, whereas now days I spend most of my hooping time just dancing and fully engaging in the hoop where I feel I’m just having fun and doing what feels natural. I would really love to invite you to practice in finding a nice quiet space, grab your hula hoop and just hoop to the music and be present in the moment.